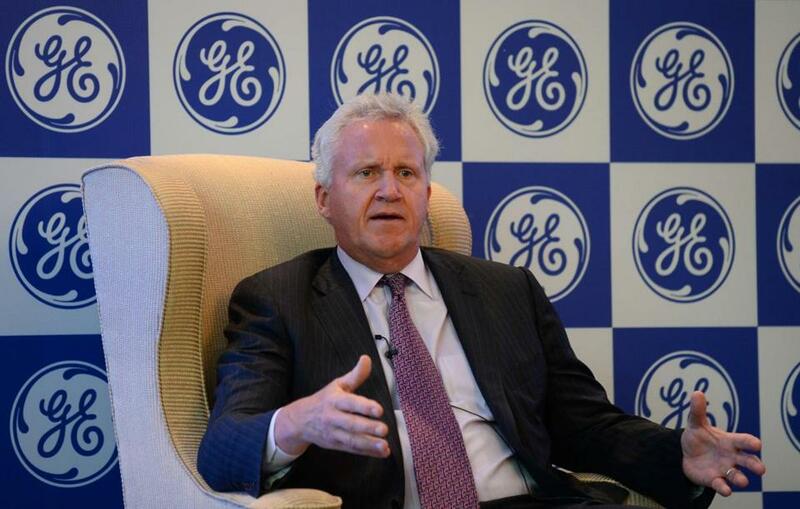 General Electric&apos;s chief executive officer Jeffrey R. Immelt addressed a press conference in New Delhi. Does that mean that Massachusetts, once nicknamed “Taxachusetts,” is now seen as a business-friendly state? The Boston area is on the short list of contenders for the headquarters and its 800 people, as GE’s search focuses on high-cost states in the Northeast. In relation to those states, Massachusetts compares favorably on its business tax climate. For all the annual drama that surrounds the state budget, Massachusetts’ finances are much more stable than Connecticut’s. Immelt also wants to find an innovation “ecosystem” to be part of, and the Boston area fits that definition easily, with its renowned universities and various clusters of high-tech firms. Don’t stay in Connecticut. Don’t go to New York. Here’s why the headquarters of General Electric should move to Boston. And the state has come a long way from the days of Taxachusetts. The Tax Foundation, a Washington think tank, last month ranked Massachusetts 25th out of the 50 states, based on tax climates. Connecticut, as well as New York and Rhode Island — two other states under consideration by GE — all ranked in the bottom 10. The Tax Foundation ranks Massachusetts’ income and sales tax policies as more competitive than those of its two neighbors to the immediate south and west, the main reasons why the state has a stronger overall ranking. Walczak, however, notes that those factors play a bigger role in the total tax bill for smaller companies, particularly those whose profits are taxed through their individual owners and not through the corporations. On the other hand, a company like GE would see a lower income tax as a quality-of-life benefit for executives and employees. Connecticut’s Legislature moderated its latest package of tax increases — the one that sent Immelt on a property hunt — in special sessions in late June and earlier this week. But business leaders say the changes were modest. The tax system in Connecticut isn’t the only issue. There’s also a looming state budget deficit, one that could total $1.7 billion in two years, according to the state’s Office of Fiscal Analysis. That could force Connecticut lawmakers to consider raising taxes again. “I think GE and every other company in Connecticut is concerned about that,” said Joe Brennan, chief executive of the Connecticut Business & Industry Association. Eileen McAnneny, president of the Massachusetts Taxpayers Foundation, said Connecticut lawmakers earlier this week tempered one of the big tax changes that had angered GE in June, when Immelt went public with his desire to relocate. But fiscal unpredictability remains a big problem there, McAnneny said, with billions of dollars’ worth of tax increases approved in the past seven years and a big budget deficit still looming on the horizon. Logan International Airport’s proximity to downtown Boston and its numerous international flights also can make the city more appealing for a corporate headquarters than other places GE is considering, said George McCarthy, president of the Lincoln Institute of Land Policy in Cambridge. And then there are the incentives that states can tailor to employers. This year, Massachusetts offered tax incentive packages valued at $3.25 million for Amazon.com Inc. and $2.5 million for International Business Machines Corp.
Other states have their own incentive programs aimed at enticing companies to move or to expand within their borders. In Rhode Island, new companies can now receive tax credits of up to $7,500 per job, per year, and state officials recently created a $25 million fund to finance projects in a redevelopment district near downtown Providence. Even so, the memory of the 38 Studios debacle — in which Rhode Island awarded a $75 million loan guarantee to a computer game company that later failed — has not faded. John C. Simmons, of the Rhode Island Public Expenditure Council, a taxpayer watchdog group, predicts that Rhode Island won’t throw money at a company like GE the way New York might. David Seiden, a relocation specialist at Citrin Cooperman in New York, said New York Governor Andrew Cuomo has the resources to “sweeten the pot” significantly to remain a front-runner in the quest for GE. But he said Connecticut’s recent tax changes may be enough to persuade GE to stay put in Fairfield, about 50 miles from Wall Street. It’s hard to calculate how much of a boost in state income GE could bring, in part because of the complexities of corporate taxation and because states don’t typically disclose individual companies’ tax payments. 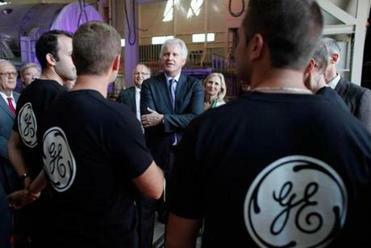 GE is also known for its skills at finding corporate tax advantages. It often pays minimal corporate income taxes to states, said Greg LeRoy, the executive director of Good Jobs First, a Washington-based research group. “It’s a very heavily subsidized company, on state, local and federal [levels],” LeRoy said. As for cost of living for individual employees, it’s costly to live in Massachusetts — but it’s also costly to live in Connecticut and other competing states. The company reportedly employs about 800 at its headquarters in Fairfield, though about 500 are expected to move initially. Most of those people, presumably, would be paying their state income taxes to Massachusetts if GE comes here. In addition, GE would probably become a major donor to local philanthropic efforts and a bigger player in the area’s civic life. Michael Goodman, a public policy professor at the University of Massachusetts Dartmouth campus, said that GE’s moving here would also provide a boost to the state’s prestige, particularly in business circles. “It would be a big symbolic win for the state . . . having one of the world’s largest and most successful firms,” Goodman said. Megan Woolhouse of the Globe staff contributed to this report. Jon Chesto can be reached at jon.chesto@globe.com. Follow him on Twitter @jonchesto.